Detailed coordination efforts allowed the equipment removal to be complete one month ahead of schedule, allowing SLAC to have co-occupancy with other contractors for construction of the new LCLS II accelerator. Gilbane successfully completed 100% removal of equipment from the 1 km long LINAC accelerator at SLAC National Laboratory under a highly aggressive schedule with a required completion date of December 31, 2016. 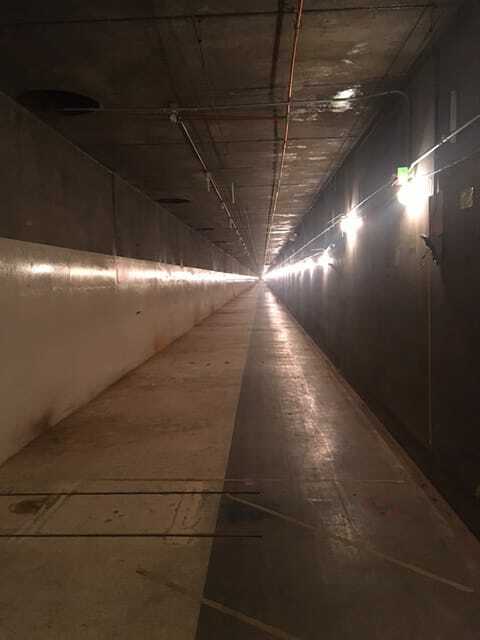 Through specialized sequencing of construction crews, all equipment was removed from the first floor (Klystron Gallery) and the underground accelerator housing before November 30, 2016, allowing a required co-occupancy for construction of the LCLS II. The transport of removed components out of the Accelerator Housing required a great deal of planning and coordination. Due to the lack of ventilation, only electric forklifts were feasible for use inside the housing. In addition, the maneuverability was restricted by the width of the tunnel. In order to remove the 40 foot long accelerator structures, custom girders (dollies) were fabricated, which allowed workers to roll the accelerator structures out of the tunnel without the use of heavy equipment. This safer approach increased the efficiency of the work flow and enhanced overall safety for the project. Because of radiological hazards identified in the Accelerator Housing, field crews performed a portion of the scope under radiological controls and oversight. 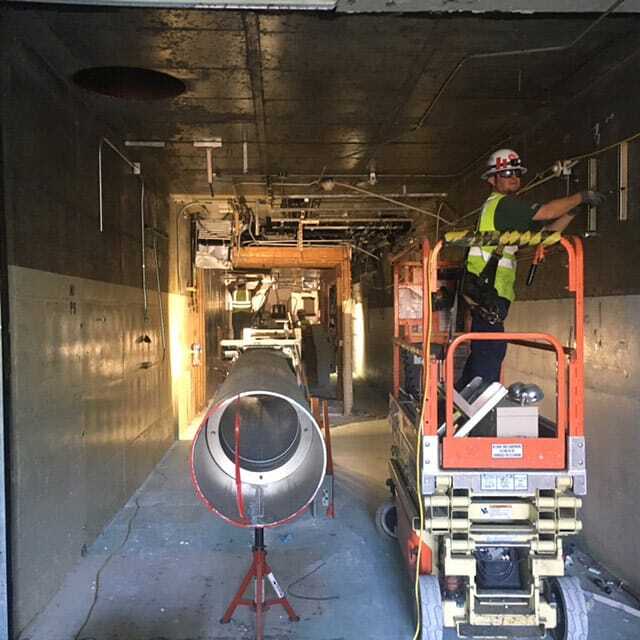 To ensure that all radiological wastes were identified prior to removal from the work area, Gilbane’s subcontractor performed radiological surveys for every component removed from the radiologically controlled areas within the Accelerator Housing. 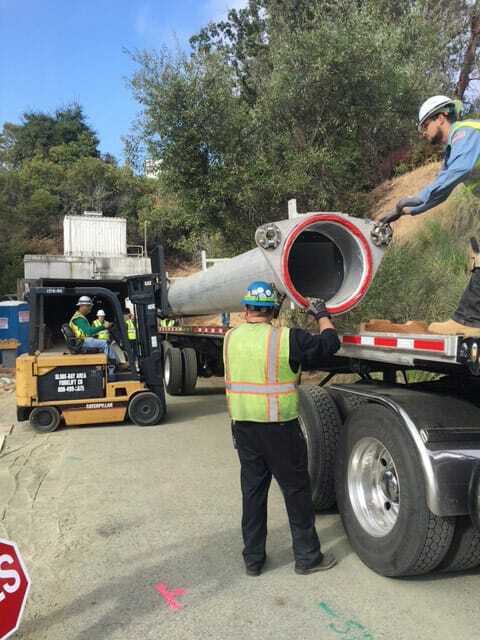 Gilbane worked closely with SLAC’s Radiation Protection and Waste Management department to ensure all waste streams were properly segregated for further processing and disposal. All waste and recyclables were segregated accordingly and Gilbane was awarded multiple field change orders to include the disposal of those materials as well as other related construction activities.